Two vigilante intruders armed with a cricket bat and a metal pole have been sentenced for wreaking terrifying havoc inside a Noble Park North home. 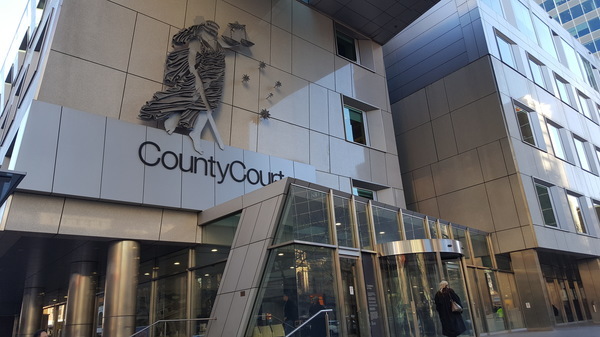 Charanpreet Brar, 32, and Gurvinder Sandhu, 25, pleaded guilty in the Victorian County Court to aggravated burglary, assaults and recklessly causing injury. The Indian-born migrants were among a group of six who beat up residents, ransacked their home and smashed car windows at Kernot Crescent about 1.45am on 28 November 2016, the court heard. During the rampage, household items were upended and smashed such as a laptop and speakers. Three cars outside the home were damaged. According to a defence lawyer, Brar had acted in frustration due to a stalled police investigation into an earlier incident. The former Keysborough Pizza Hut owner and security guard was out at a restaurant when he confronted a table of three young men acting offensively towards female staff, the court was told. He believed the group later smashed his car windows. On the night of the vigilante attack, Brar attacked an occupant sheltering in their bedroom. Brar kicked him, dragged him into a corner, pushed him into a speaker and struck him in the stomach with a pole. He stopped his attack when told that the victim had not “done anything”, Judge Michael O’Connell noted during sentencing on 8 April. Sandhu twice struck one of the occupants to the head with a cricket bat. The victim was taken to hospital with a small haematoma to his head. Two other residents were attacked with a metal pole, wooden bat and rod by unidentified offenders. A female occupant locked herself in her bedroom and crawled under her bed. The group were arrested in nearby Elenora Road soon afterwards, with Brar and Sandhu initially denying the allegations. Judge O’Connell said he could infer that the home occupants were likely to be terrified by the violence. The incident in the restaurant was “no excuse”, he said. He noted the Indian-born migrants’ impressive references, remorse, absence of relevant priors and “excellent” rehabilitation prospects. Brar and Sandhu seemed to have “learnt a hard lesson”, Justice O’Connell said. Judge O’Connell was unsatisfied that jail was the only option, noting two other offenders had been only fined at a magistrates’ court over the incident. Brar was sentenced to a four-year supervised corrections order including up to 400 hours of volunteer work as well as alcohol abuse and mental health treatment. Sandhu received a three-year supervised order of up to 300 hours work and offender programs. Both were required to attend judicial monitoring in 12 months’ time.